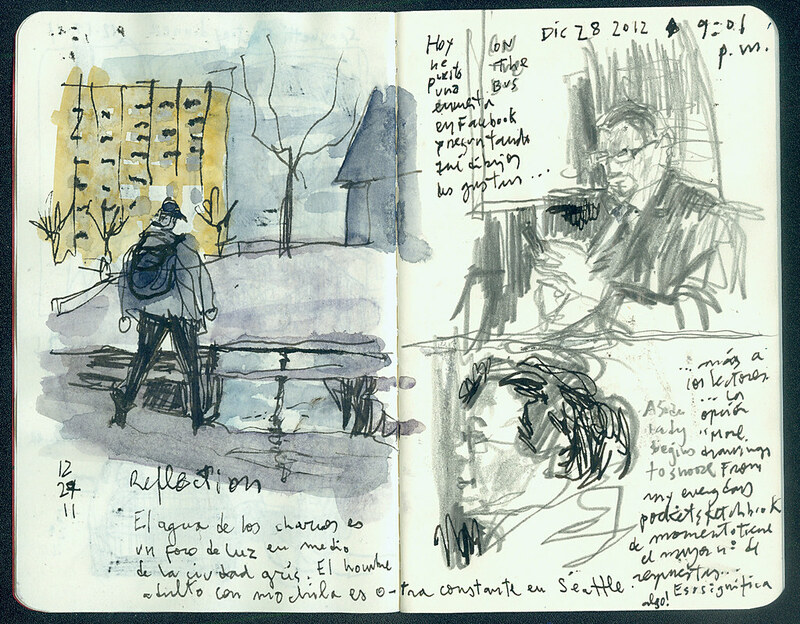 To honor that, here’s a spread from my pocket Moleskine fresh out of the scanner. On the left, an ink and watercolor drawing of someone about to cross over a puddle speaks for itself. It’s been rainy and gray out there. On the right, two fellow bus commuters done in pencil on my way home last evening. I must be really looking forward to 2012. I just noticed that’s the year I wrote on the right page. Now, just wait for me to start writing 2011 instead of 2012 in following pages. Is there a name for that? The “wrong year” syndrome?